We have been getting increased requests for food magnets, such as the Philly Cheesesteak. 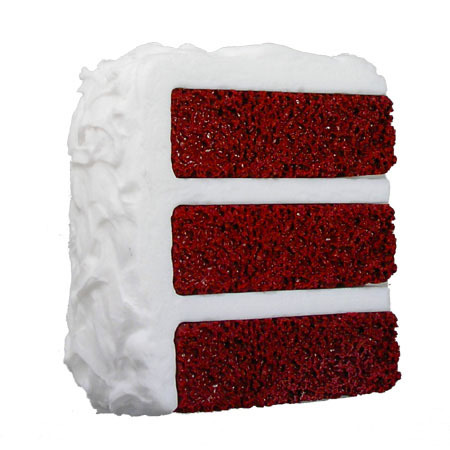 Our latest addition to our food items is the Red Velvet Cake, a desert popularized in New York City’s Waldorf-Astoria Hotel. While contemporary recipes call for red food coloring being added to the chocolate cake batter, this wasn’t always the case. The original recipe called for buttermilk or vinegar, the acids turning the cocoa red in color, hence its other name: Devil’s Food cake.